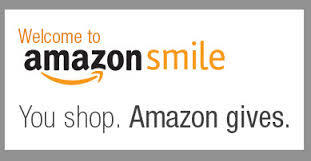 Go to amazon smile when you shop at amazon and please name Bentley Community Services as your charity of choice. Amazon (not you) will directly donate a small percentage of your purchases to Bentley! Our community of supporters. We thank you for your confidence and support! Thank you for donating to Bentley Community Services, Inc. Your donation will certainly make a big difference to the families in need in our communities! If you are interested in donating products to Bentley Community Services, Inc. please contact Dorothy at 908-227-0684 or Brant 908-963-9870. Non-perishables: The following is a list of non-perishable items to consider when graciously donating to us: cereal, oatmeal, crackers, pastas, rice, canned/packets of soup, gravy, canned tuna/sardines/chicken, bagged/ canned beans, dried fruits, nuts, red sauces in jars/cans, healthy snacks, gluten-free products, peanut butter, jam/jelly, dressings, marinades, mayonnaise/ketchup/mustard, spices, juices, bottled water, coffee, tea, cooking oils, flour, sugar, salt. Yes, we accept products in glass. We also accept perishable food provisions. Please contact us for drop off hours and pickups. TOILETRIES/HOUSEHOLD: shampoo/conditioner, soap, body wash, deodorant, soap, body lotion, baby powder/baby powder cornstarch, razors, shaving cream, laundry detergent, dish soap, wipes, feminine products, diapers, dishwasher detergent, cleaning detergents. And, numerous families have pets and we cannot forget about their needs. Since a typical beloved pet is a dog or cat, please consider donating dry food, healthy canned food, healthy snack foods, etc. Bentley Community Services, Inc. is a 501 (c) 3 nonprofit corporation and will provide tax-deductible receipts for your monetary donations. We are also on PayPal. Donations in the form of checks are gratefully accepted by mail.